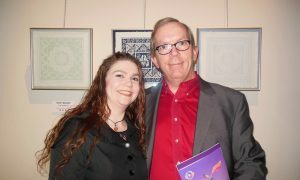 SACRAMENTO, Calif.—Cherish Canda had always wanted to see Shen Yun, ever since it first began performing. 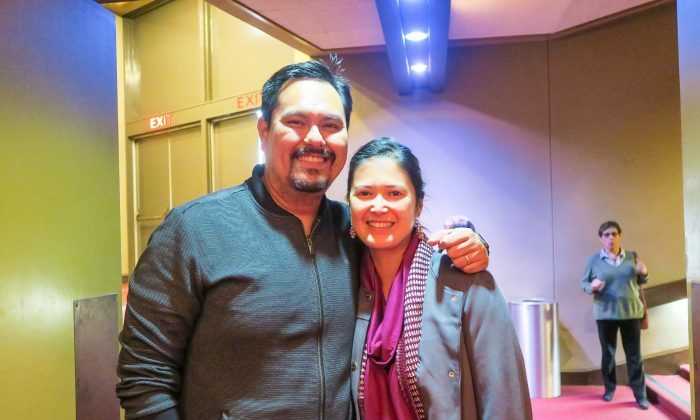 When she finally had an opportunity to see it on Jan. 12 this year, she felt that she had stepped into another world. 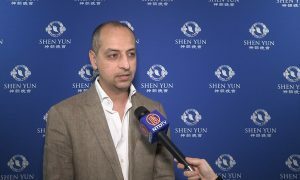 Shen Yun Performing Arts is a New York-based company that performs classical Chinese dance, an ancient art form that is both expressive and athletic. Classical Chinese dance includes difficult leaps and tumbling techniques, but it also requires coordination of small details such as the position of the fingers, according to Shen Yun’s website. Canda noticed this attention to detail. “From their movements, you can see that everything is practiced and rehearsed down to the last detail, even the positioning of their fingers. All five fingers, they have a certain position that they assume, and their movements,” she said. “It’s just really heavenly. … It’s like you step out of the mundane stuff of the real world and step into a different world that was China, I guess. And the way it’s depicted is very beautiful,” she said. 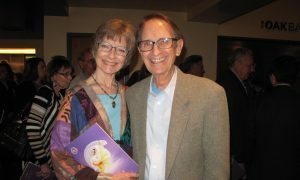 Canda and her husband, Robert Campbell, who are co-owners of Altamont Healthcare, enjoyed Shen Yun together at the Sacramento Community Center Theater. 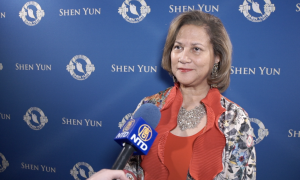 They appreciated Shen Yun’s revival of traditional Chinese culture. Ancient Chinese culture is thought to be divinely inspired, according to Shen Yun’s website. 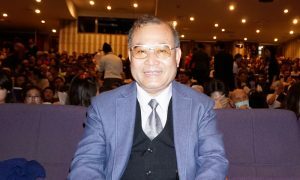 However, this divine aspect has been nearly lost in modern times, since the Chinese communist regime has spent several decades trying to destroy traditional culture and values. Shen Yun’s mission is to bring this culture back to life onstage. Many of its dance pieces depict heavenly realms; others tell stories and legends from ancient and modern China. She was touched by the dance piece “Goodness in the Face of Evil,” which tells a contemporary story about the persecution of Falun Dafa. Falun Dafa, a meditation discipline based on the principles of truthfulness, compassion, and tolerance, became very popular in China in the 1990s. 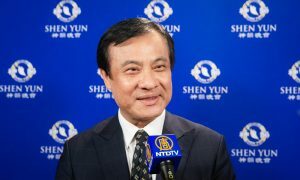 However, the communist regime feared the popularity of these traditional beliefs and has been violently persecuting practitioners of Falun Dafa since 1999. The music for the dancers is provided by Shen Yun’s unique live orchestra, which combines both Chinese and Western musical traditions. There are also vocal and instrumental solos. In between each dance piece or solo, two emcees come out to introduce the next piece. The dancers wear brightly colored costumes in styles from ancient China. When they perform intricate choreography onstage, the colors produce striking visual effects. She was glad to see traditional Chinese culture showcased in the form of art. 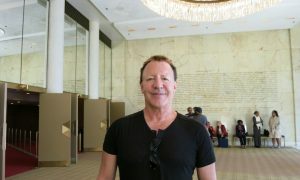 Campbell also expressed his admiration of Shen Yun. With reporting by Michelle Yang and Sally Appert.